There's a line in the 1984 baseball flick "The Natural" where assistant coach Red Blow says of spaghetti, "Can't spell it, but it eats pretty good, don't it?" Something similar could be said of the music propounded by Boston math-punk behemoth Grass Is Green. The act's first three releases collect about 30 good-to-great-to-unfuckingbelievable tunes, but this reviewer can't tell you what a single one is about. That's no knock against the mighty quartet: their musical derring-do is routinely more thrilling than it is confusing, and confusion is simply endemic to Grass Is Green's songwriting. Fans will be pleased to find the act remains true to its characteristically manic style on Vacation Vinny, their fourth long player and second for white-hot Brooklyn label Exploding In Sound. A Grass Is Green song rarely plots a linear course. Instead, off-kilter blasts of feedback and clattering drums typically burst out from compressed pauses, songs that barely eclipse the three-minute mark often employ just as many time signatures. Lyrically, the band continues to be exuberantly unrestrained. Turns-of-phrase dart out like malevolent desk drawers, and they typically scan like disparate thoughts, random data, ingredients labels. It's a well-reasoned approach that mirrors the foursome's agitated instrumentals. 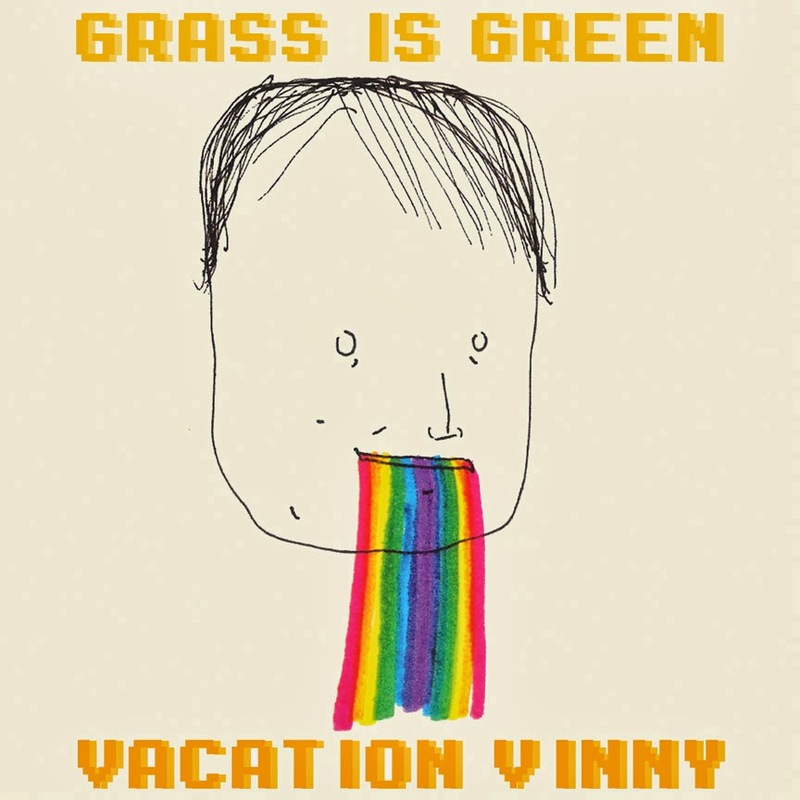 While sonically there is much that fans will find familiar about Vacation Vinny, its music is presented on a grander scale. Call it an indie rock upgrade from standard resolution to HD, albeit not in the sense of heightened production quality (Grass Is Green's prior recording, Ronson, still sounds sweet to these ears). It's more an issue of increased potency. The whipsaw turnarounds approach vertigo-inducing levels of vim, the rhythms rock even more crisply, the guitars run tighter circles around one another, and the melodies are inescapable. The record's opening triad -- the slow-burning "Sammy So-Sick" through the grungey "Big Dog Tee Shirt Birthday Weekend" -- is arguably the band's strongest run to date in terms of songs AND song titles. 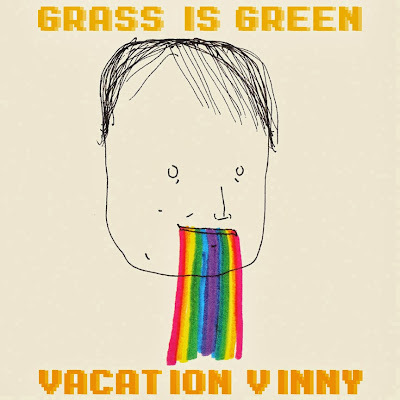 Vacation Vinny is a legend-making record.